You’d never know it by looking at the fearless and independent Bitsa of today, but the days of Bitsa’s kittenhood were spent fighting to save her life. Bitsa was only a few weeks old when she was rescued and brought to Austin Humane Society in Austin, Texas. Her eyes were completely sealed shut, and she was so congested she struggled to breathe while nursing her bottle. 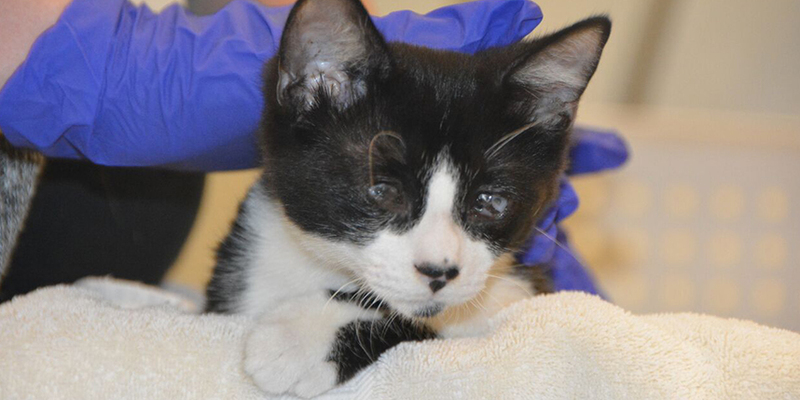 She had a severe upper respiratory infection, and it had resulted in a horrible eye infection as well. Bitsa was sent home with a bottle-feeding kitten foster, though it was unclear if she would live. Austin Humane’s vets put Bitsa on a variety of medications to clear up the infection and hopefully save her eyes. At first, the vets thought Bitsa’s eyes were a lost cause, and that if she survived the ordeal she’d be blind for life. Slowly, however, Bitsa began to fight off her infection and gain back some strength. An ophthalmologist discovered that her third eyelids had adhered to her eyes. Surgery would be possible, but not until Bitsa had some more time to grow. She stayed in her foster home and was given eye drops daily. 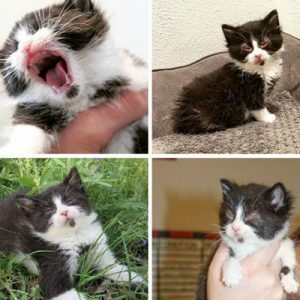 She shared a home with other kittens and a few dogs, and became fearless despite her inability to see. At about 4 months old, she had surgery to restore her eyesight. After a long recovery, Bitsa is now able to see again. Though her eyesight will never be perfect, she now sees well enough to navigate her surroundings, climb and conquer the world! She was adopted by one of Austin Humane’s staff members, who fell in love with her spirit. She even got to meet the Kitten Lady, who’s famous for rescuing kittens and educating the public on how to save their lives. 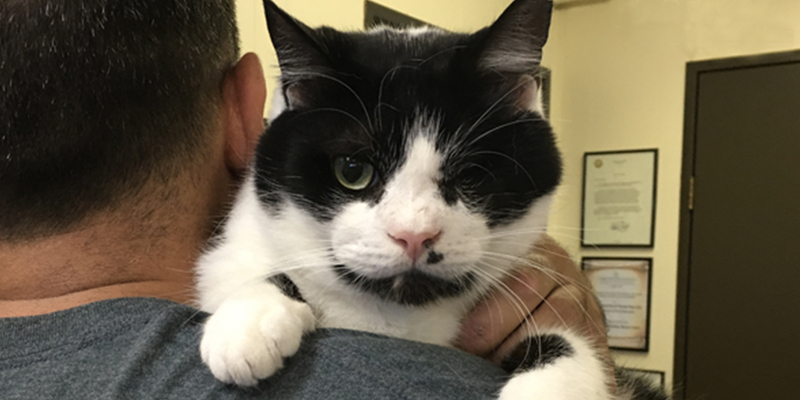 In their many years, Austin Humane has seen a few mischievous cats come through their doors. One such pair was Alfred and Silver, long-term residents of the shelter who would jump on the surgery tables in the TNR clinic and sleep on their heated pressure chamber to keep warm. Silver once even managed to back one of the vet techs into a corner because he was so mad! 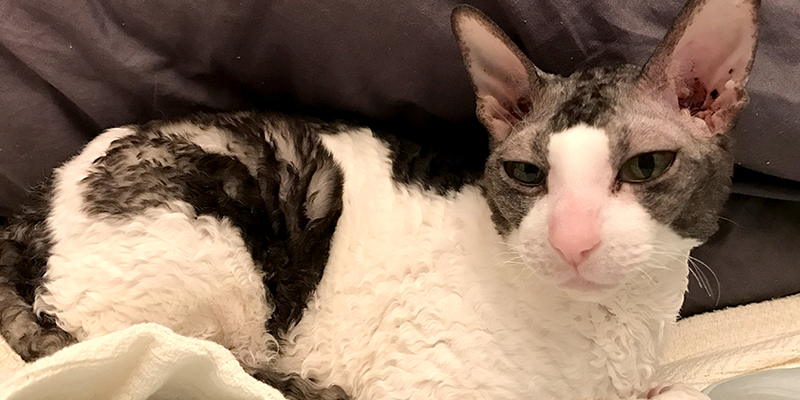 Another cat managed to escape his kennel overnight and turn a hose faucet on full blast. Three to four inches of water filled most of the shelter when staff arrived the next morning, but somehow not a single animal was even wet – except, of course, for the instigator. The damaged caused wasn’t so funny, but it provided an excuse for a remodel of the adoption lobby. 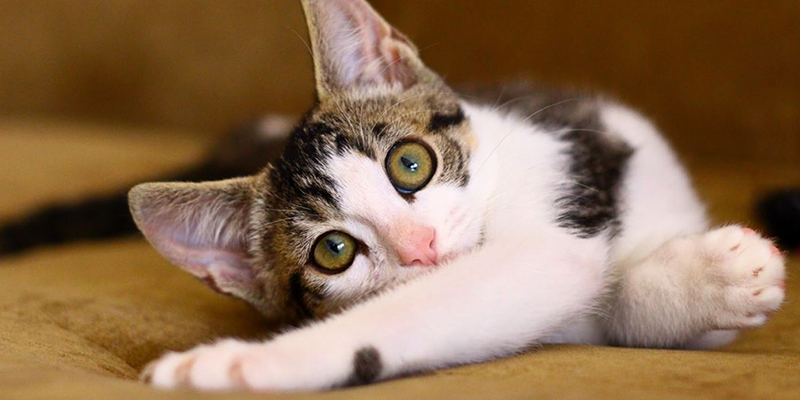 This optimistic outlook is just another reason Austin Humane Society is #ALitterBitAmazing. This year, in honor of their 65th anniversary, Austin Humane is hosting a Stay Play Celebrate event, partnering with local businesses and giving them a chance to show their support with a day of giving back to the animals at AHS. 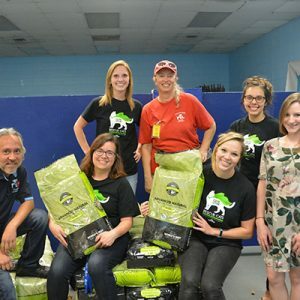 But, before the celebration, the shelter is focusing on doing good by providing services to cats and in the affected areas of Hurricane Harvey. To learn more about Austin Humane Society, visit them online. 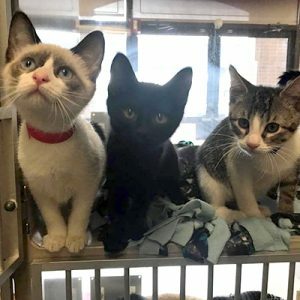 Plus, show your support for shelter cats by visiting GiveLitter.com and playing the game that donates World’s Best Cat Litter™ to shelters around the country!